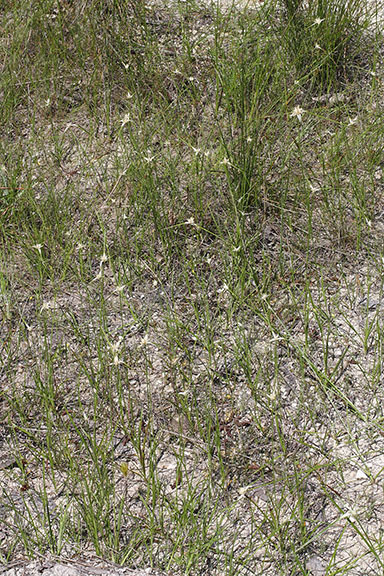 A common sedge of moist flatwoods, prairies, bogs and ditches throughout most of Florida. The range includes the southeastern coastal states from Virginia to Texas plus Arkansas. Growing to 70cm (27-1/2 in.) tall, the showy parts of this plant are the three to six (sometimes seven) bracts that spread out from the terminal inflorescence of small white spikelets. In Rhynchospora colorata the white portion at the base of the bracts is up to 2.5cm (1 in.) long, with the remainder of the bract green to the tapered tip. 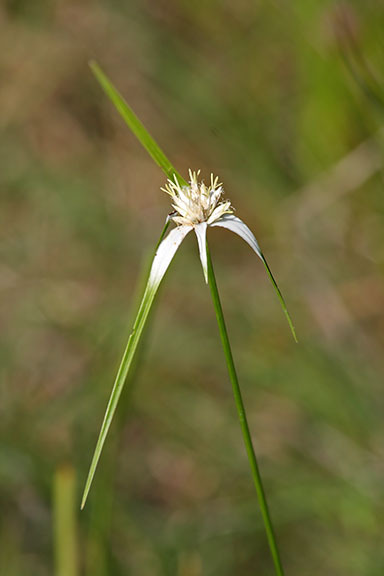 This is one of three beaksedges in Florida having showy bracts with white bases and green tips. R. latifolia, giant whitetop, is found in much of Florida, although absent from the Big Bend area. Florida whitetop, R. floridensis only occurs in Highlands, Collier and Miami-Dade Counties, plus the Florida keys. Rhynchospora colorata is a member of the Cyperaceae - Sedge family.